I went to the Body Shop to take advantage of the 02 Priority moments half price discount. I am a massive Body Shop advocate, having bought their skin care and make up for years now. I really feel the brand doesn’t get the hype and recognition it deserves. The packaging is always cute and professional and the prices are really affordable. Of course, the products aren’t as cheap as some may be in Boots, but I feel with The Body Shop that you pay a little extra and get products that could compare to designer skin care labels. These are just the products I picked up yesterday, but the amount of products I own from this brand is pretty expansive. 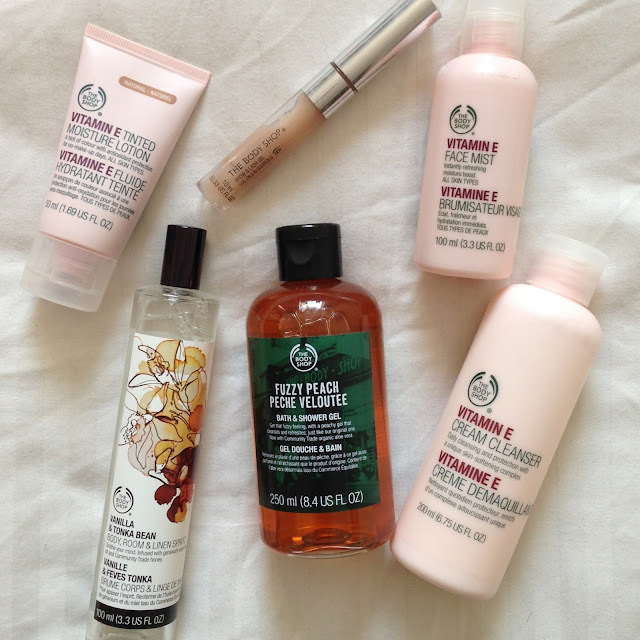 I will blog about each of the products individually to give a better review of each, but I really just wanted to put the word out there, that if you haven’t tried products from The Body Shop, you really should go and have a look! Is anyone else a big fan?